I kind of assumed OPT would be more durable from the get go, so that’s why I applied to the fronts. Run 30 psi. 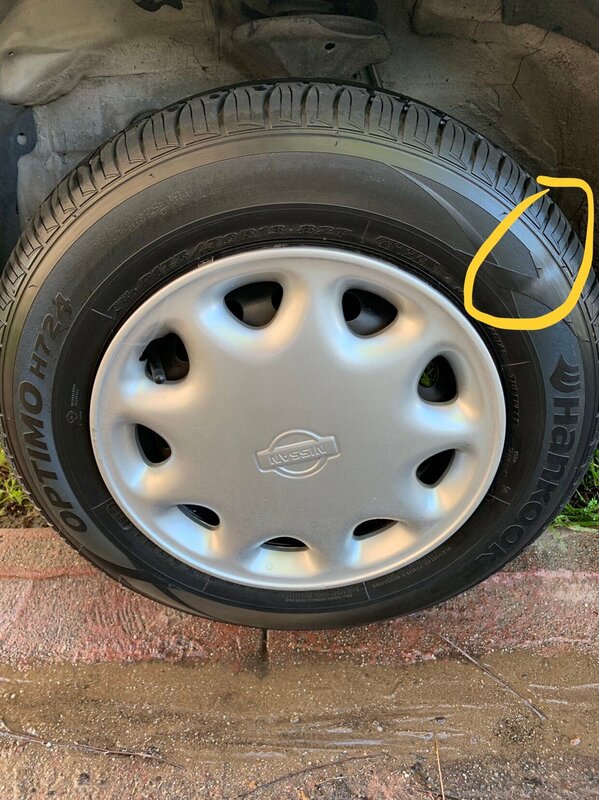 Reason I thought they might be overinflated is because I notice your left front tire has an indentation that usually happens when tires run overinflated. Before recently I used to notoriously overinflate my tires and they would sometimes develop those same dents in them.. According to ####, this car weighs just under 2,300lbs so 30 seems great to me. I also just went and looked at that tire and the side wall is fine. Must be some sort of glare. Appreciate the heads up though. WOW, you are a pioneer. Minwax for wood eh? I have used gallons of this stuff. I know it is the bomb on wood. Get a picture for me of the Polycrylic wheel for me. I have photos when I originally started (3/17), and will take photos soon, for a 1 month test. With that said, I do not want to publish here, since I believe it will be breaking forum rules. PM where you put them, please, thank you. I actually wonder about the tire thing everytime I crack the gallon open and see the blueish white. I wonder if mixing and matching different brands of tire cleaners and coatings will make a difference with the longevity. Yvan from Optimum recommends using the products from the same manufacturers for they are engineered to work together. I used the Tuf Shine system on the Buick in December and the tires are still dark and rich with a slight sheen. Thank you very much for taking the time to do this/document/photo/post here! PM sent...just the 2 coat applications on 3/17/2019. FYI I know the type of indentation you are talking about and That’s just a normal part of the tire construction process.